I have listed a new property at 415 Inglewood ST in Winnipeg. Lovely 3 bedroom starter home is perfect for you. This cozy 800 square foot bungalow is located in a quiet neighborhood of deer lodge close to all amenities. Good size eat in kitchen with lots of storage space, 3 good size bedrooms. New windows. High efficiency furnace, New hot water tank, Single detached garage. Perfect for investment or the first time buyer! Call today to book your private viewing!! This one wont last. SS Wednesday June 1st *Offers to be presented Thursday June 9th at 4pm. * Lovely 3 bedroom starter home is perfect for you. This cozy 800 square foot bungalow is located in a quiet neighborhood of deer lodge close to all amenities. Good size eat in kitchen with lots of storage space, 3 good size bedrooms. New windows. High efficiency furnace, New hot water tank, Single detached garage. Perfect for investment or the first time buyer! Call today to book your private viewing!! This one wont last. SS Wednesday June 1st *Offers to be presented Monday June 9th at 4pm. * Lovely 3 bedroom starter home is perfect for you. This cozy 800 square foot bungalow is located in a quiet neighborhood of deer lodge close to all amenities. Good size eat in kitchen with lots of storage space, 3 good size bedrooms. New windows. High efficiency furnace, New hot water tank, Single detached garage. Perfect for investment or the first time buyer! Call today to book your private viewing!! This one wont last. I have listed a new property at 457 Parkview ST in Winnipeg. Opportunity to own a brand new 924 Sq ft new build! Hurry still time to pick your own colours and finishes! Taxes still have to be assessed. Room to build the garage. Similar home available for showings. Call today for your private viewing! This one won't last! $3000 Appliance Credit! I have sold a property at 296 Hampton ST in WINNIPEG. Two story single family home located in the heart of St James. This 1040 sqft 3 bed, 2 bath home is all you have been looking for! Excellent Location! Close to all amenities! Kitchen featuring designer finishings, ceramic floors, counter tops, & gorgeous back splash. Spacious dining room with lots of room for all of your entertaining needs. Cozy living room for quiet relaxing family evenings. All you have been waiting for!! Upper level presents 3 good size bedrooms, MB w/walk in closet. Good size 4 piece bath w/shower & Jetted tub. If quality is what you are looking for? Look no more! Some upgrades:Triple pane windows, doors, new plumbing & wiring ,moisture barrier, wall insulation, basement cement floor, weeping tile, sump pump & pit, new sewer line from house to street installed by city of Winnipeg. Main floor hardwoods, ceramic tiles, & laminate flooring. High efficiency furnace, interconnected smoke alarms, finished basement, large deck. two rear parking spots. Call today for your private viewing!! I have listed a new property at 296 Hampton ST in WINNIPEG. I have listed a new property at 493 Parkview ST in WINNIPEG. Absolutely gorgeous Open Concept Bi-level new build in St James Area. Perfect neighborhood for you to raise your family! Spacious 2 bed 1 bath home.. Gorgeous kitchen cabinets, designer stone backsplash & granite counter tops perfect for all your entertaining needs. This home features lots of large windows with lots of natural sunlight, Bright and Cheery! pot lights, ready to move in! Basement ready for development, Room on lower level to develop 2 beds& additional bath. HRV Electric High efficiency furnace, Sump Pump, Close to all amenities and Public Transportation. Call today for your private viewing. This one won't last! Call today before its too late! Please visit our Open House at 495 Parkview ST in WINNIPEG. ***OPEN HOUSE Saturday Aug 22nd & Sunday Aug 23rd 3:30pm-5:30pm See you there!! ***Absolutely gorgeous Open Concept 854 Square Foot new build in St James Area. Perfect neighbourhood for you to raise your family! Spacious 2 bed 2 bath Bi-Level has a designer Eat In kitchen with gorgeous white cabinets, designer stone backsplash & granite countertops perfect for all your entertaining needs. This home features lots of large windows with lots of natural sunlight, Bright and Cheery! 2 Spacious Bathrooms with designer finishings! Fully finished basement with a touch modern flare, pot lights, ready to move in! HRV High effeciency furnace, Sump Pump, Privacy deck, Stainless steel Fridge, stove, dishwasher and hood fan are included. Close to all amenities and Public Transportation. Call today for your private viewing. This one won't last! Call today before its too late! Absolutely gorgeous Open Concept 854 Square Foot new build in St James Area. Perfect neighbourhood for you to raise your family! Spacious 2 bed 2 bath Bi-Level has a designer Eat In kitchen with gorgeous white cabinets, designer stone backsplash & granite countertops perfect for all your entertaining needs. This home features lots of large windows with lots of natural sunlight, Bright and Cheery! 2 Spacious Bathrooms with designer finishings! Fully finished basement with a touch modern flare, pot lights, ready to move in! HRV High effeciency furnace, Sump Pump, Privacy deck, Stainless steel Fridge, stove, dishwasher and hood fan are included. Close to all amenities and Public Transportation. Call today for your private viewing. This one won't last! Call today before its too late! 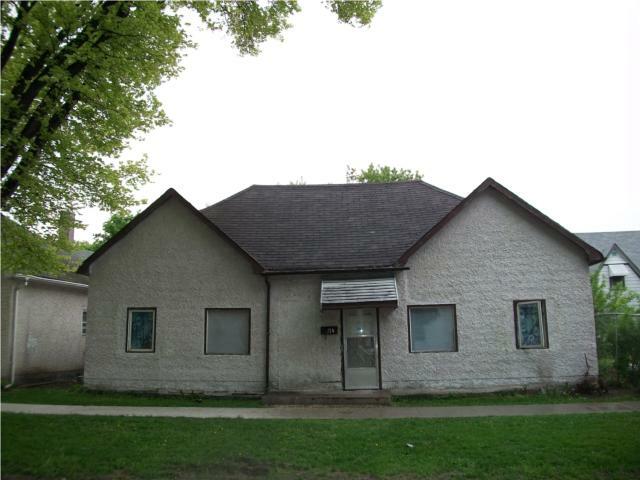 I have listed a new property at 495 Parkview ST in WINNIPEG. Please visit our Open House at 315 Roseberry ST in WINNIPEG. This 3 bedroom 2 bathroom 1270sq/ft 1 3/4 story home in the heart of desirable St James was completely renovated from top to bottom, absolutely turn key!! All new wiring, plumbing, fixtures, high efficiency furnace,windows and doors completed with city issued permits and inspections. Open main floor with beautiful laminate flooring throughout and modern neutral color palette. New Ikea eat in kitchen with soft close cabinets and a stunning designer glass tile backsplash (flat-top range, fridge and dishwasher included). Main floor laundry complete with stackable washer and dryer. Huge master bedroom with walk in closet and ensuite, ceramic and glass tiles throughout both bathrooms. Exterior boasts natural cultured stone, a fully fenced yard including 10x12 deck and double detached garage. Bank issued appraisal provided for quick and easy financing. Non smoking and pet free home with flexible possession. Close to all amenities! Don't miss this amazing opportunity! ***Open House Sunday February 22nd 1-3pm*** Beautifully remodelled 1272 Square foot 1 3/4 home located in Winnipegs Desirable St James area! This cozy 3 bedroom 2 bath home is absolutely perfect for the first time buyer. Nothing to do but move in. Spacious open concept design with new window fitted custom designed blinds. A spacious new Eat in kitchen that features designer backsplash and white IKEA cabinets, bright and clean with lots of natural sunlight! Modern design with a fresh paint palette throughout home, gorgeous laminate flooring with recessed pot lights on flooring. Fully fenced yard. Double Garage. Quick Possession is possible! Close to schools, bus and shopping. Don't miss this amazing opportunity! Won't last long! Book your appointment today! ***Open House Sunday February 15th 1-3pm*** Beautifully remodelled 1272 Square foot 1 3/4 home located in Winnipegs Desirable St James area! This cozy 3 bedroom 2 bath home is absolutely perfect for the first time buyer. Nothing to do but move in. Spacious open concept design with new window fitted custom designed blinds. A spacious new Eat in kitchen that features designer backsplash and white IKEA cabinets, bright and clean with lots of natural sunlight! Modern design with a fresh paint palette throughout home, gorgeous laminate flooring with recessed pot lights on flooring. Fully fenced yard. Double Garage. Quick Possession is possible! Close to schools, bus and shopping. Don't miss this amazing opportunity! Won't last long! Book your appointment today! I have listed a new property at 315 Roseberry ST in WINNIPEG. Beautifully remodelled 1272 Square foot 1 3/4 home located in Winnipegs Desirable St James area! This cozy 3 bedroom 2 bath home is absolutely perfect for you and your family or as an investment property! Spacious open concept design with custom designed blinds. A spacious new Eat in kitchen that features designer backsplash and white IKEA cabinets, bright and clean with lots of natural sunlight! Modern design with a fresh paint palette throughout home, gorgeous laminate flooring with recessed pot lights on flooring. Fully fenced yard. Double Garage. Quick Possession is possible! Close to schools, bus and shopping. Don't miss this amazing opportunity! Won't last long! Book your appointment today! I have listed a new property at 354 Truro ST in WINNIPEG. Showings now on with offers being presented July 8th @6:00pm. Perfect Starter Home!! This beautifully renovated 640 sqft 2 bedroom plus bungalow in St James is one you will not want to miss. Two spacious bedrooms on main floor. Good Size kitchen perfect for entertaining family and friends. spacious open concept living room. The lower level offers a recreation room as well as office and workshop. 5 Appliances included. Single detached garage plus 1 space. Conveniently located in close proximity to schools, playgrounds, shopping and public transportation. A great find in a great neighborhood!! This one won't last long! I have listed a new property at 403 Queen ST in WINNIPEG. This St James area brand new custom built home with superior quality finishes thru-out could be finished to you needs,spacious bi-level with open concept design, high ceilings with lots of natural light, large kitchen with stainless steel appliances. 2 bedrooms with walk in closet in master bedroom, lot plenty of room with large backyard or to build a garage. 5 year new home warranty, close to shopping, schools, and public transportation. 200 AMP Service, Roughed in Plumbing. I have listed a new property at 354 Harcourt ST in WINNIPEG. "Offers as received on this wonderful home that would be just right for you. Imagine what it would be like to live in this home that has seen many new renovations from windows to a new high efficiency furnace to new doors etc. You even have a new kitchen where you can entertain guests in style with your soft close doors, granite countertop and stainless steel appliances. Don't forget to quickly sit in your deep soaker tub so you feel exactly how relaxing it would be like after a long day. This 3 br, 1ba home has a good flow of both traffic and if you believe in it, energy as well. Do come by and get a feel for this place you will soon call home and if you wish, make it the last on your list of homes in the area so you can appreciate the value here." Please visit our Open House at 468 Collegiate ST in WINNIPEG. Absolutely Gorgeous Home! on Sunday, May 11, 2014 13:00 - 15:00 1601 Sq Ft 2 storey Home in beautiful St James. Spacious 3 bdrms, 3 bath home with tonnes of upgrades. A perfect home to raise your family.Gorgeous floors. Close to school and all Amenities. For More info call today. Gorgeous 1601 Square foot Two Story Home in St James. Spacious 3 Bedroom, 3 bath Home with tonnes of updates and renovations. New Polar Windows and Doors, New Central Air, New gas fireplace, Filtered Water system throughout entire home, new garage Doors. Beautiful Bamboo and laminate flooring. Close to Schools and all amenities. Please visit our Open House at 334 Kensington ST in WINNIPEG. UPDATES THROUGHOUT! on Sunday, April 27, 2014 14:00 - 16:00 |This bright and stunning 3+ br home has many updates. Spacious kitchen with attached living room, large recreation room with beautiful floors, 3-season sunroom with hot tub. Above-ground pool and private backyard. $269,900. ***Open House Saturday April 26th & Sunday April 27th 2-4pm See you there*** Showing Start April 22nd, with Offers being presented April 28th @ 6pm. Absolutely Stunning Family Home in St James! This 944 Square foot 4 bedroom home is perfect for you. Spacious Kitchen with Dining room off to the side. Large living room with large windows. New Main Floor Bathroom, 3 bedrooms on main floor with The lower level features a good size bedroom and a extra bedroom/office. A gorgeous recreation room with beautiful floors... lots of space for entertaining your family and friends! Gorgeous wood flooring throughout. Enjoy a beautiful back yard with 3 season Sunroom with Hot tub. Also features an above groundpool and a spacious private back yard. Some New Windows (200 Amp Service) New Shingles (2012) This can all be yours! Don't Miss this one Won't last long!! UPDATES THROUGHOUT! on Saturday, April 26, 2014 14:00 - 16:00 |This bright and stunning 3+ br home has many updates. Spacious kitchen with attached living room, large recreation room with beautiful floors, 3-season sunroom with hot tub. Above-ground pool and private backyard. $269,900. Showing Start April 22nd, with Offers being presented April 28th @ 6pm. Absolutely Stunning Family Home in St James! This 944 Square foot 4 bedroom home is perfect for you. Spacious Kitchen with Dining room off to the side. Large living room with large windows. New Main Floor Bathroom, 3 bedrooms on main floor with The lower level features a good size bedroom and a extra bedroom/office. A gorgeous recreation room with beautiful floors... lots of space for entertaining your family and friends! Gorgeous wood flooring throughout. Enjoy a beautiful back yard with 3 season Sunroom with Hot tub. Also features an above groundpool and a spacious private back yard. Some New Windows (200 Amp Service) New Shingles (2012) This can all be yours! Don't Miss this one Won't last long! !